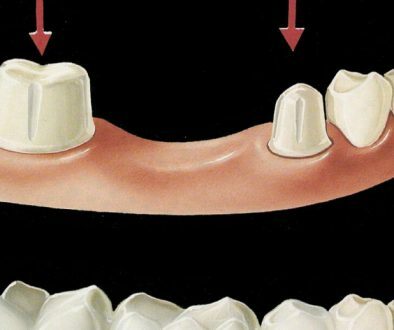 It’s common for teeth to become less white over time. This can happen due to food, drinks (coffee and soda are big offenders) and smoking. It can even happen naturally as a result of the aging process. If you’re interested in a renewed sparkling smile, we recommend a take-home teeth-whitening kit that will have your pearly whites looking their brightest in no time! Before providing the kit, we first must conduct a brief dental exam to ensure safety and best results. To help you make an informed decision, here are a few of the most frequently asked questions we encounter when it comes to teeth whitening. Yes. According to the Canadian Dental Association, clinical studies support the safety and effectiveness of home-use bleaching gels when used appropriately. Alright, I’m In. How Do We Proceed? If you are deemed a good candidate for teeth whitening, a dentist will use a shade guide to identify your current color and also how many shades whiter your teeth should be. Your dentist will then create a tray that is custom-made to fit the shape of your mouth and teeth. 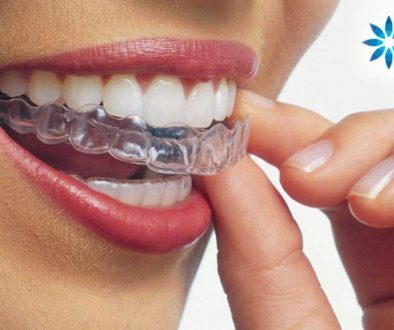 At home, you’ll fill and wear the tray containing the gel for a period of time as prescribed by your dentist. After each treatment, remove the tray and rinse it. Brush your teeth, and repeat the next day. How Long Will I Have To Wear The Tray? We use the Pola advanced tooth whitening system. There are two different options; a daytime and a nighttime treatment. The Pola day kit requires you to wear the tray containing the gel for between 15 to 60 minutes. The Pola night option requires wearing the tray containing the gel overnight. 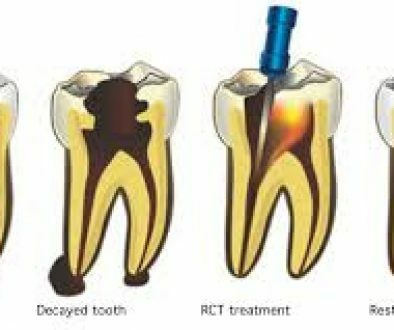 The process should take between 5-14 days depending on the condition of your teeth. Teeth whitening is a good option for patients with a history of healthy teeth and gums who have no fillings. Patients with yellow stains on their teeth tend to respond best. Teeth whitening is not recommended for children under the age of 16. Nor is it suggested for women who are pregnant or lactating. Patients with gum disease, worn enamel, cavities or and exposed roots are also not good candidates. Nor are patients with fillings, crowns, or other restorations, as the composite materials used in these procedures do not whiten. Whitening may also not be ideal for individuals with sensitive teeth or gums. For all these reasons, a dental exam and medical history can help decide if whitening is a good option for each individual patient. Will Teeth Whitening Hurt Sensitive Teeth? Both Pola kits contain fluoride which guards against tooth sensitivity. If you still feel sensitivity to hot and cold while undergoing the treatment, one of our dentists can prescribe a de-sensitiser. To avoid sensitivity, you should stay away from carbonated drinks and citrus foods while under treatment. Any sensitivity, if experienced, will subside on its own a few hours after stopping the treatment. The Pola kits will not exacerbate any sensitivity you may already have. You can make an appointment by calling, emailing, or booking below.